Egyptian authorities have widened their crackdown on the Muslim Brotherhood to include scrutiny of its members’ business interests in the wake of the military-backed overthrow of the Islamist president Mohamed Morsi, former leader of the group. 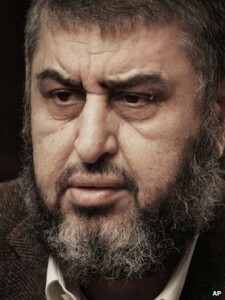 Jurists say dozens of cases alleging corruption against officials associated with the Brotherhood are now being pursued. ‘A huge number of claims had been already submitted, but the investigations started after Mohamed Morsi had been overthrown from power,’ said Mohamed Aboul Fotouh, a Cairo attorney with knowledge of the cases. Among the top targets are Khairat al-Shater, the deputy leader of the Brotherhood who is a high profile businessman in Egypt, and Hassan Malek, head of the Egyptian Business Development Association, a trade lobby with ties to the Islamist group, jurists and Brotherhood officials said. The clampdown on business interests, along with the arrests of Brotherhood leaders and alleged violence against its rank and file, has raised worries that Mr Morsi’s overthrow has prompted a revenge campaign by elements of the so-called ‘deep state’ – including members of the judiciary and the security services – against the Islamist group. ‘There are members of the old regime that are very pleased and are trying to take advantage,’ said H.A. Hellyer, an Egypt expert at the Brookings Institute. The judiciary has already taken action against the businesses of Mr Shater, a real estate and textiles mogul who is considered the architect of the Brotherhood’s political strategy. ‘The authorities have attacked the companies of Mr Shater and they have closed his trade offices,’ said Mourad Ali, a Brotherhood official. In addition, shadowy vigilantes have launched physical attacks on businesses associated with Brotherhood leaders. Gehad Haddad, a spokesman for the Brotherhood described a ‘vicious campaign targeting private offices of Muslim Brotherhood leaders and ransacking them’. Among the victims was leading Brotherhood figure Medhat Assem, a surgeon whose clinic in Cairo was attacked, he wrote in a Twitter statement. Throughout its nine decades, the Brotherhood has encouraged its members to enter the professions and commerce. A number of them have built up huge fortunes in the real estate, food, textile and health sectors. The formation of EBDA shortly after the revolution was seen as an attempt to bolster the status of their businessmen. In April 2012, Ahram Online posted an article titled “Muslims Inc: How rich is Khairat El-Shater?” which examined the finances of Mr. El-Shater.